If you want to change your court date because of circumstances beyond your control, you must make your request so that it is received at least five (5) business days before your court date (or ten (10) business days before a trial date). The court needs the time to notify all parties to your case of the change. We do not accept telephone requests to change court dates. 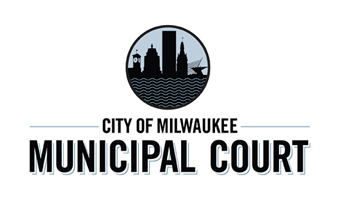 You must request the change either online (at query.municourt.milwaukee.gov), in person, by mail or by FAX (286-3615). If you are making your request by mail or fax, you must indicate your name, date of birth, case number, type of violation and the desired court date in your letter. The court will notify you by mail of your new court date. Unless you receive a new court date, make sure that you appear on your originally scheduled date. If you do not pay your fine or appear on your court date, the judge may enter a judgment against you or issue a warrant for your arrest. How do I make a request to the court for a change in the judgment or an order against me? To make a request to the court for a change in the judgment or an order against you, you must file a motion. A motion is a written request to the court for a change in the judgment or order against you. To file a motion, you must write to the Milwaukee Municipal Court, 951 North James Lovell Street, Milwaukee, Wisconsin 53233. Include in your letter the following information: case number, your name, your current address and telephone number, what you are asking the court to do, and the reason for your request. For a pre-printed form to use for filing a motion, please click here. You may also appear in person at the court reception window and file a written motion. The receptionist will give you a form to use. Can I get credit for time served in jail? You must also include with your written request a verification from the jail where you were or are incarcerated. Your verification must include the date you were taken into custody, and the mandatory release date.